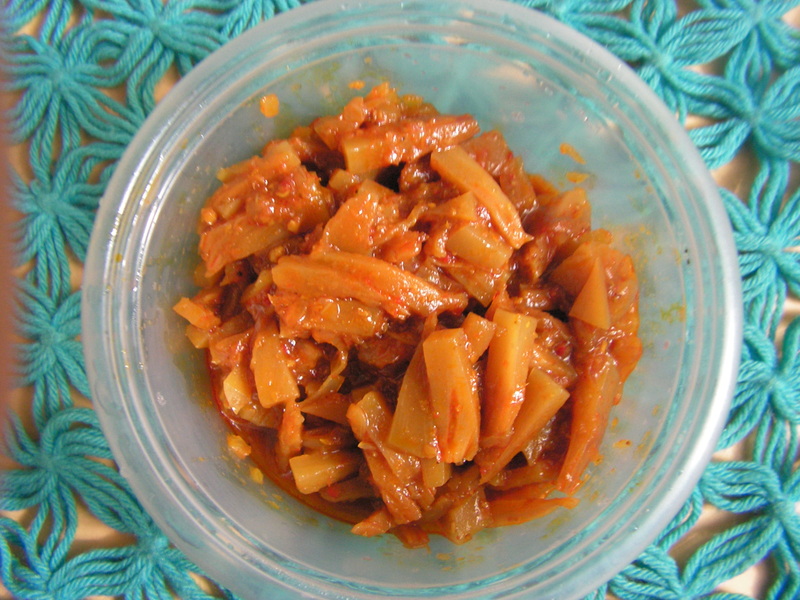 I have already put up banana blossom chutney and would like to put up yet another banana blossom dish – this time, with kabuli chana. This combination tastes wonderful and we were introduced to it by my dear grandma when we visited her during the summer vacation in my young days. It was a simple dish with just a seasoning of mustard seeds , green chilly, asafoetida and curry leaves and of course salt to taste. 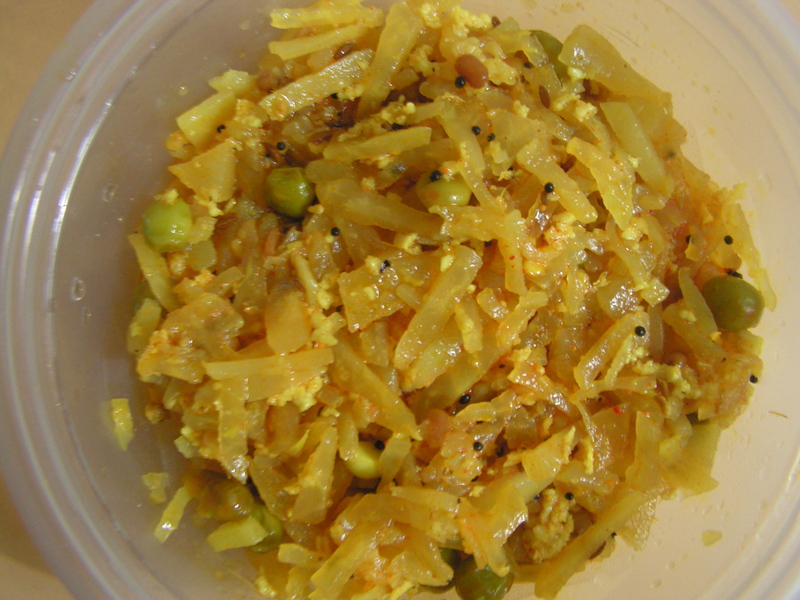 In konkani we call it “Bondi Bhaji“. Bondi in Konkani is Banana Blossom. I have modified it and would like to share it with you all and here it is. 1. 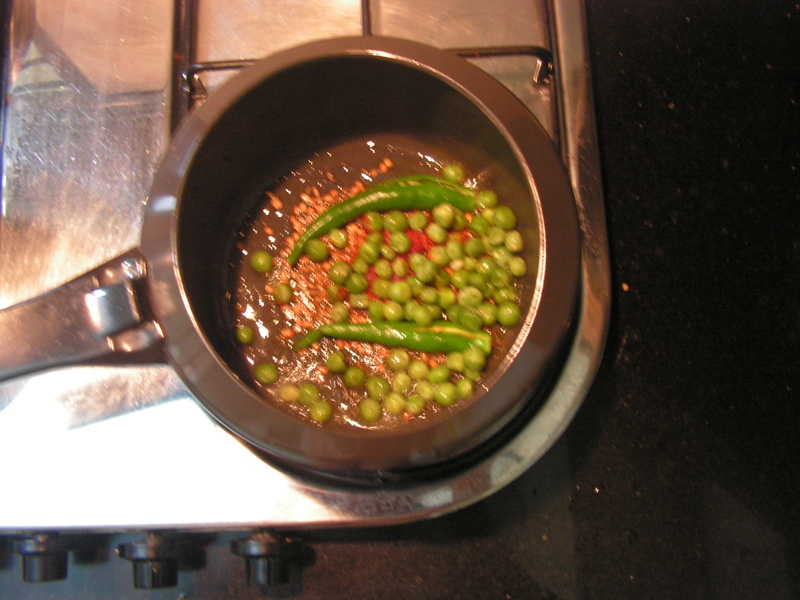 Cut off the outer covers of the blossom till you get the tender one and chop it fine and soak it in water along with kabuli chana over night as shown in image-1. 2. Wash and onions fine, chop green chilly and cilantro too fine and keep it aside as shown in image-2. 3. 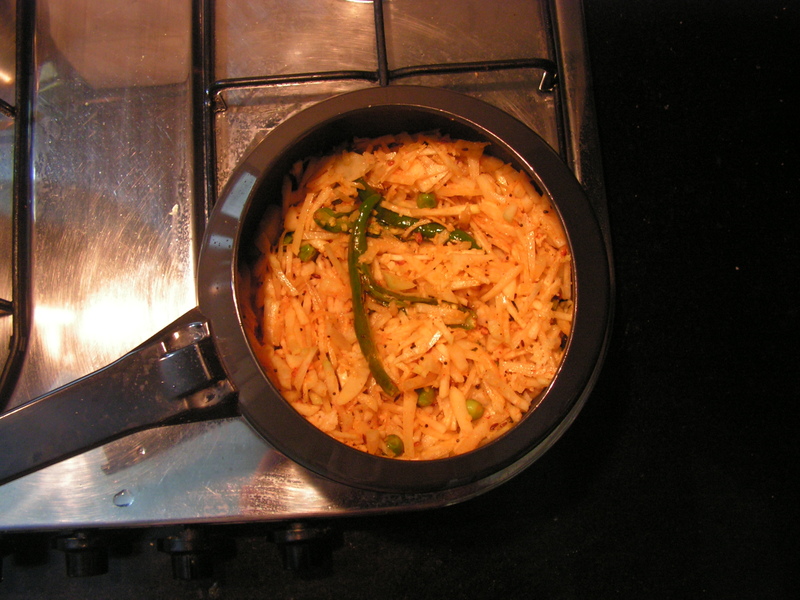 Add fresh water to it and cook it in the cooker as usual till smooth adding a little salt. 4. Place a skillet with 3-4 Teaspoons of cooking oil in it on medium flame. When hot, add cumin seeds to it. When it splutters, add chopped green chilly and curry leaves to it. Now add chopped onions and required quantity of salt to it and stir it at regular intervals. 5. When onions turn transparent, add all the powders in a row and stir well. 6. Finally add cooked blossom and kabuli chana mix from step-3 to it and stir in well. 7. Finally decorate it with chopped cilantro and a handful of grated coconut. Enjoy this curry with chapati, roti and also with rice and dal. 1. Use fresh blossom for the dish. 2. 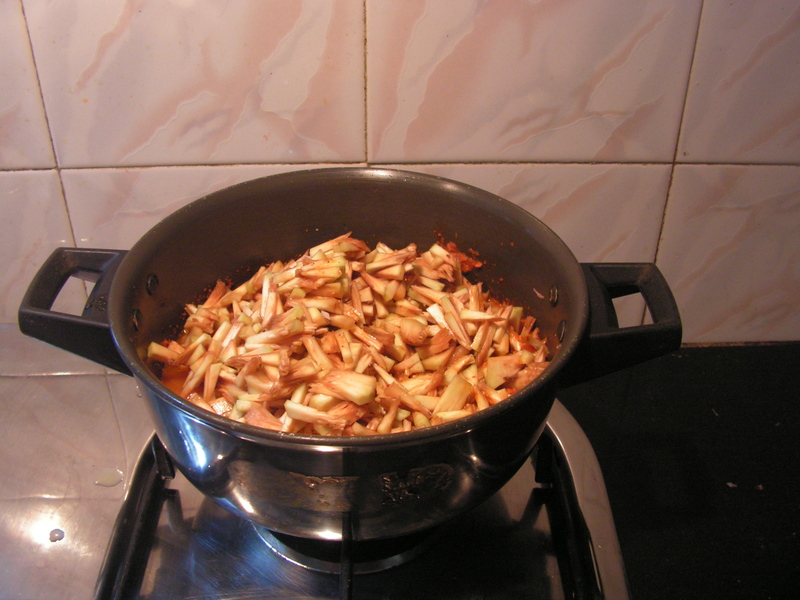 Do not forget to chop off the outer cover of the blossom since it will be difficult to cook in the cooker too. 3. One can use any variety of chana of your choice. This entry was posted in Uncategorized and tagged 30 minutes, Konkani dishes, Konkani food, Lunch side dish, Side dish for Rotis. 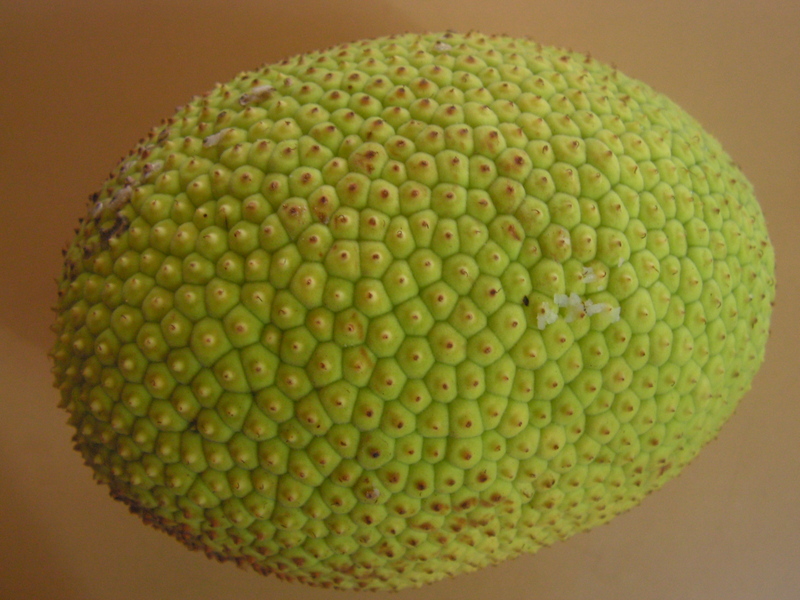 Bread fruit in english is Deevige Halasu / Jeevu Gujja in Kannada and Jeev kadgi in Konkani. I have already put up the recipe for bread fruit chips that was appreciated. We can even cook it with some sprouted grains in a gravy. 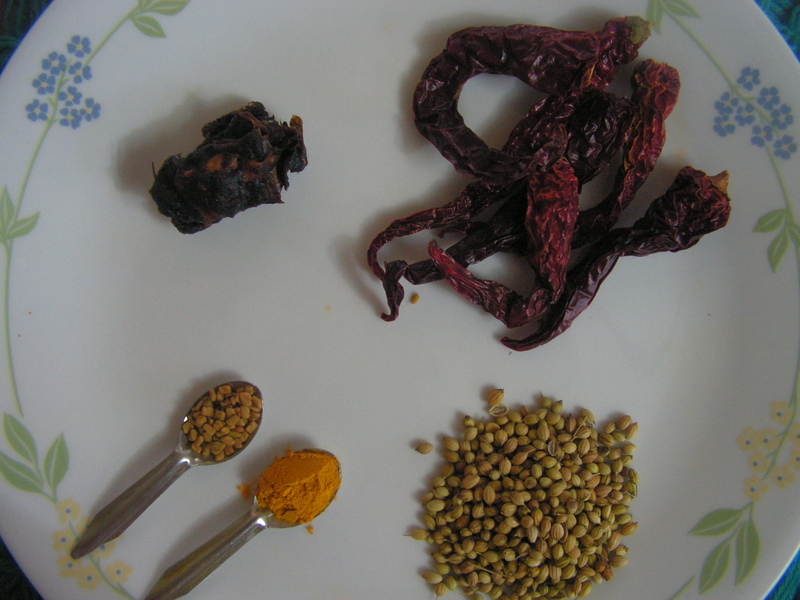 Today I would like to put up this spicy dish which we call saung in konkani. It is just like the potato saung which I have already put up on this blog in the very early days. This dish being spicy, one can enjoy it in this monsoon season with dal and rice and also with curd rice. 1. Wash, peel and chop breadfruit lengthwise. 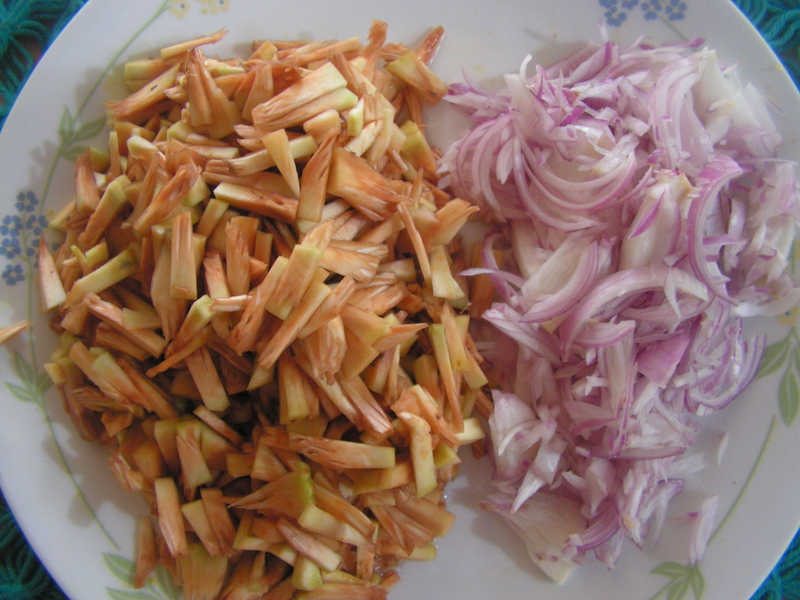 Also wash, peel and chop onions lengthwise and keep it aside in a plate as shown in image-2. 2. Place a skillet with 4-5 Teaspoons of cooking oil in it on medium flame. 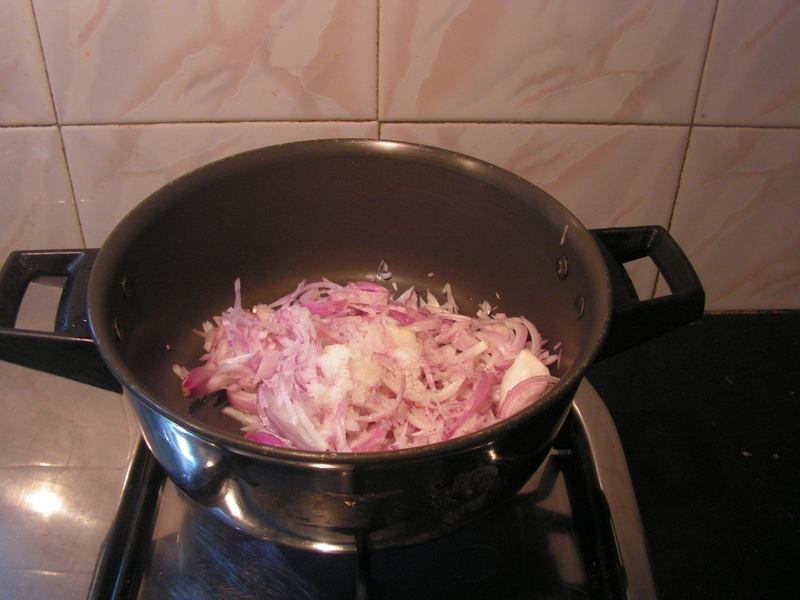 When heated, add chopped onions from step-1 to it and fry till transparent. 3. Place a spatula with 2-3 Teaspoons of cooking oil in it on medium flame. When hot, add fenugreek seeds, coriander seeds and fry it. Switch off the flame and add turmeric powder to it. Empty it and fry red chilly in it adding sufficient oil. 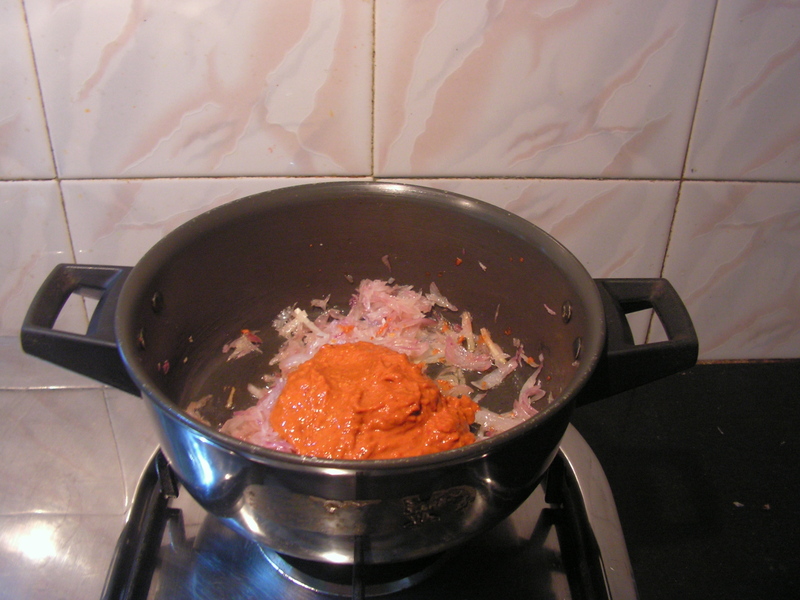 Grind the fried ingredients, tamarind in the mixer adding water in steps to a medium fine consistency. Add this masala to the fried onions from step-2 it. 4. Stir well and add chopped bread fruit from step-1 to it and also a little water for the veggie to cook. 5. Close it with a lid stirring at regular intervals. 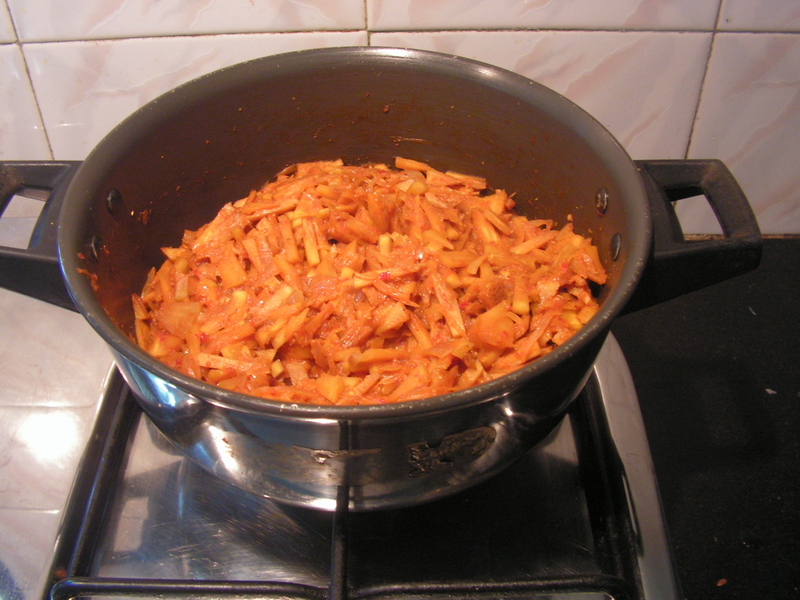 When cooked, the dish will be as shown in the image below. 6. A closer view of the dish. Enjoy with Chapati, dal-rice and also curd rice ! 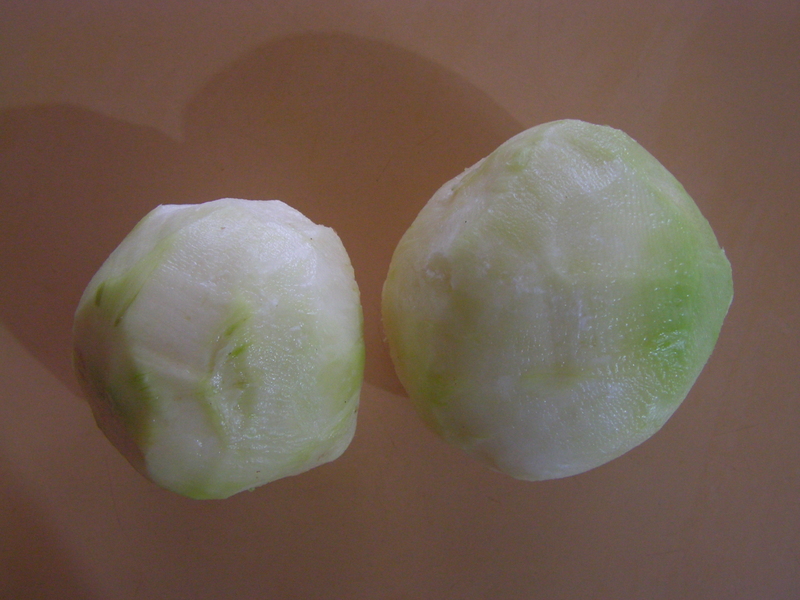 Kohlrabi/German Turnip in English is Navilkosu in Kannada and Knolkol / Noolkol in Hindi. It belongs to Brassica family of cabbage, cauliflower, and the like. Though the taste resembles that of cabbage it is not as popular as it does not cook and combine easily with the other veggies like cabbage, cauliflower or potatoes. We have been in the habit of having this curry since childhood and I have modified the usual course of cooking it a bit for convenience and flavour. I think it is really easy to prepare and is good for beginners and amateurs. Here it is. 4. 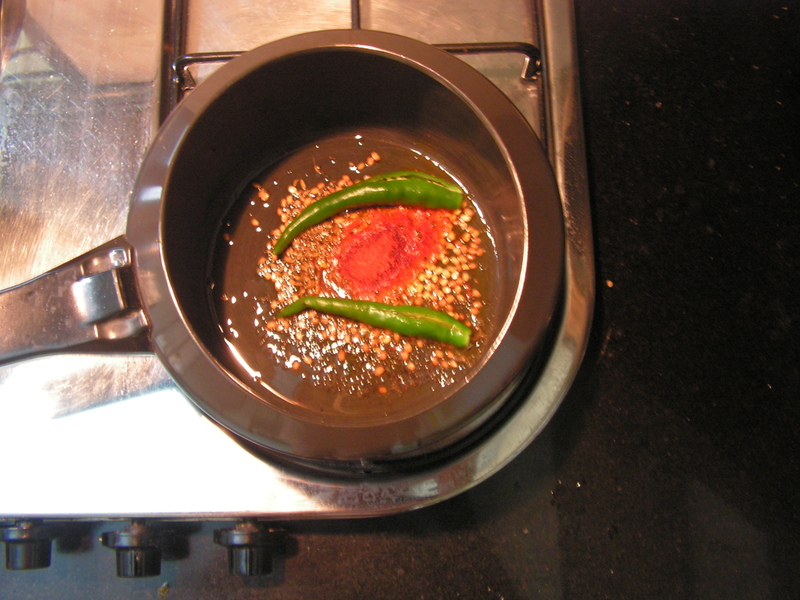 When pressure is released, it is ready to be served with rice and rasam. It also tastes great with curd rice. 1. The veggie should be tender for this dish. To know whether it is tender or not just prick with your nails and it should prick in / indent easily. 2. Using potatoes makes for a good combination for the dish. However it does not cook too well together; so one has to pressure cook and expect that they will taste and feel separate in texture. 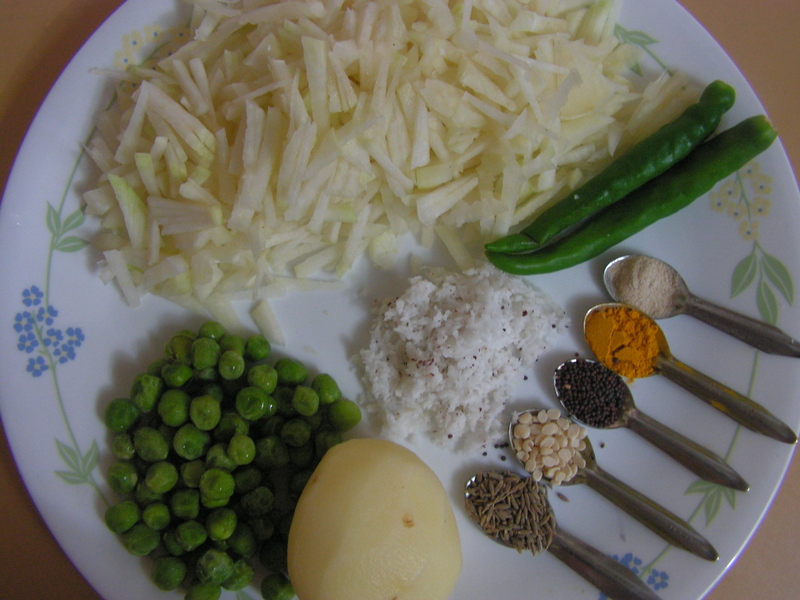 Green peas has been added to enhance the visual appeal of the dish and also for flavour. 3. This curry is a good side dish with curd rice too.